It is rainy in SF which means our entire city has ground to a halt. We don’t know how to handle weather! If there is any truer statement about San Francisco, please let me know. I didn’t go to work today because the shop has no power. Correction, I did go to work today, discovered I had no power, and returned home. My dogs refuse to go outside to take care of business. Chihuahuas, I tell ya. 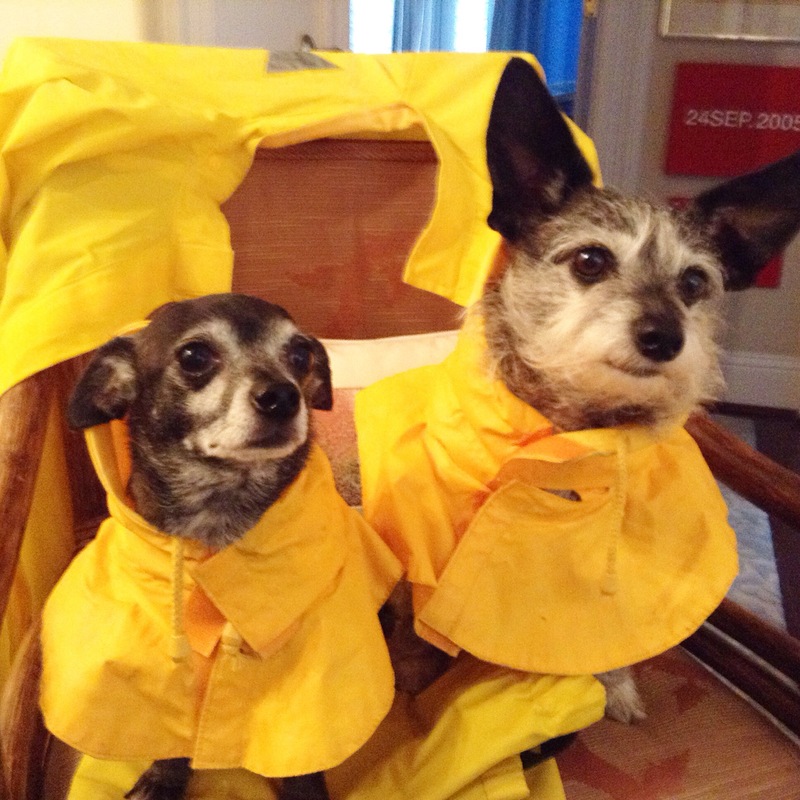 These raincoats are purely decorative. Here’s a car swimming thru the intersection. My picture is terrible, I apologize. Finally, a life tip from me to you. When you buy a salad, turn it upside down to eat so you get the boring stuff out of the way first. You are welcome. 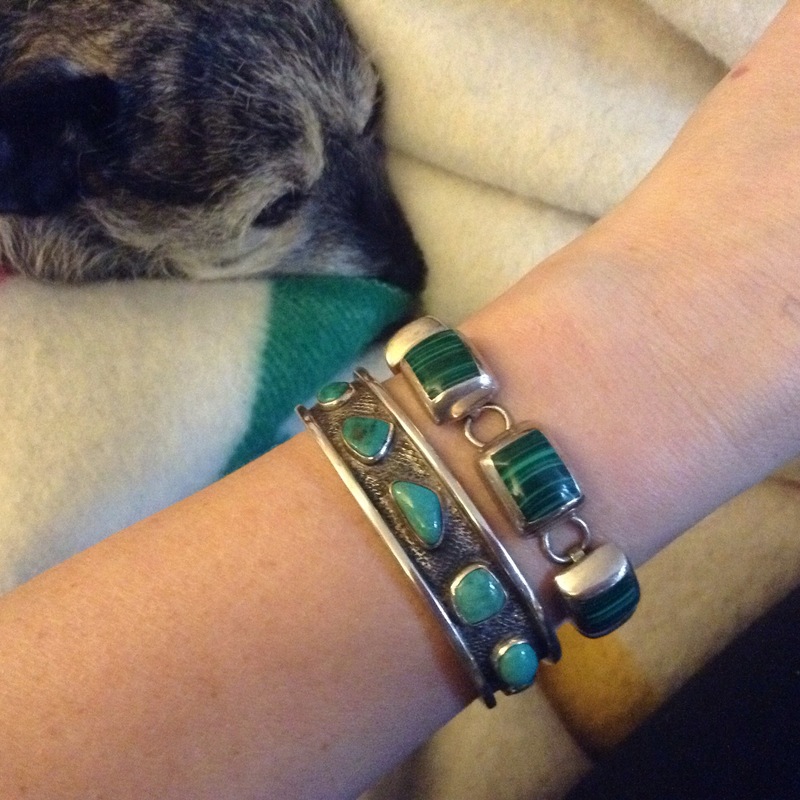 Today’s bracelets are a turquoise Taxco cuff, and a green stone (what is this stone?) and silver bracelet also from Mexico. < Previous Me Me Me ME! The green stone is malachite. I love the Taxco cuff. Is that an old one? Maybe, I’m not certain. I don’t think either are antiques but definitely over a decade old. Some of my bracelets I got years ago, so I don’t even remember receiving them. Thank you for the malachite tip!